MalloMe Camping Hammock Just $18.99! Down From $90! You are here: Home / Great Deals / Amazon Deals / MalloMe Camping Hammock Just $18.99! Down From $90! Amazon has this MalloMe Camping Hammock on sale for just $18.99 down from $89.99 when you apply the extra 5% coupon located below the price! PLUS get FREE shipping with Amazon Prime or for orders $25 or more! When it’s finally time to kick your shoes off and relax in the shade, you don’t want to lay on the hard ground or sit upright in stiff chair. That’s why we created the MalloMe XL Double Camping Hammock that lets you float effortlessly in the air, fully stretched out and embracing what true comfort means. 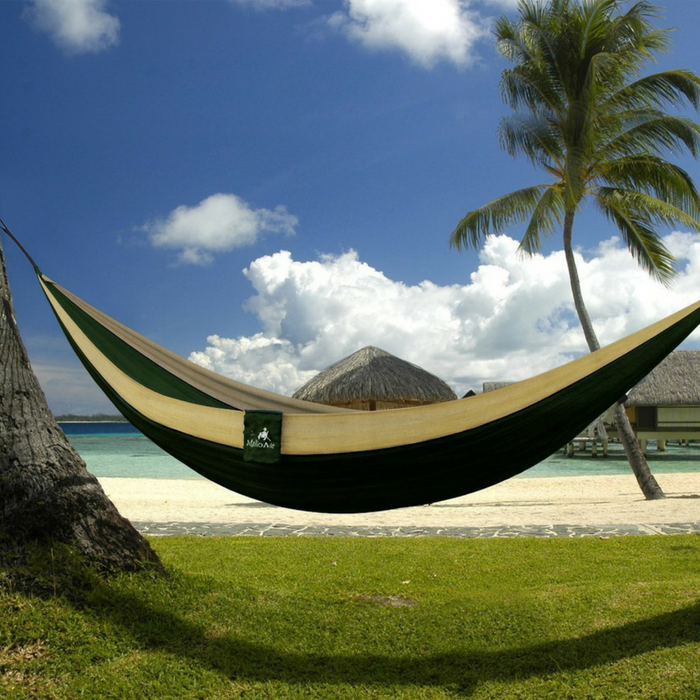 Great for your backyard or camping trip, this portable, extra-large outdoor hammock helps your stresses fall away as you swing gently in the warm, summer breeze.